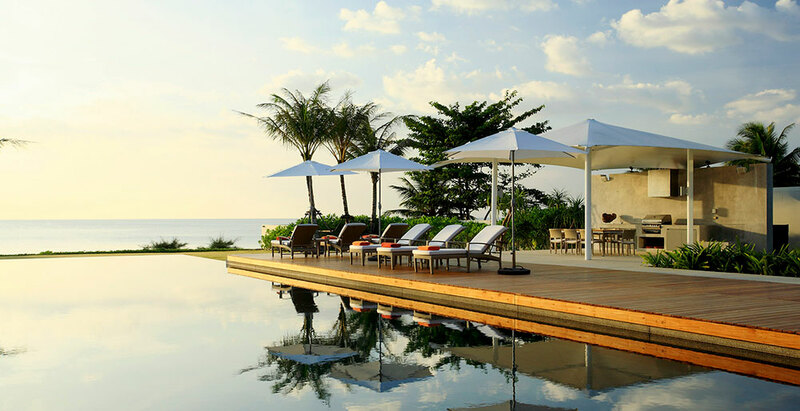 Set on the pristine sands of Natai Beach, within the exclusive Sava Beach Villas estate, this 6-bedroom beachfront haven is located less than half an hour's drive north of Phuket airport. Featuring a bright living room, family/TV room and glass-encased dining room, manicured rear and front lawns, a beachfront sala, barbecue area and a sun deck alongside the 25-metre pool, Villa Malee Sai offers a stylish tropical escape for families and makes a wonderful wedding venue. Five-star service is provided by a villa manager, a skilled chef and housekeeping staff, leaving guests free to relax and enjoy their stay.